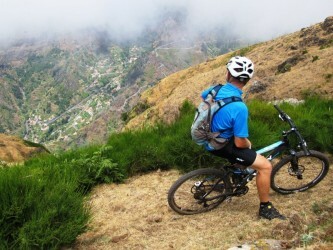 Cycling & Mountain Biking in Madeira Island: Come and discover Madeira mountain bike, cycling along the tracks, Levadas paths, dirt roads and obstacles in the Madeira Island forest! 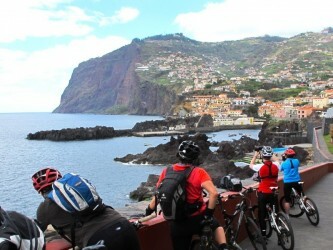 The average annual temperature in Madeira is quite stable at around 20 ° C (68 ° F). Not too hot, not too cold, perfect for cycling. There are several options for flights from Europe to reach Madeira Island. Every year there are numerous bike events like “Avalanche” Downhill, Enduro Challenge, or Summer Water jump. Our tour to Pico do Arieiro is difficult and spectacular at the same time, since we climb the third highest mountain of Madeira. We start in Camacha, almost at the end of the Levada da Serra, one of the longest levadas of Madeira. Our tour offers many interesting and manifold sights. Our ride leads us to Monte and well into the city centre of Funchal. 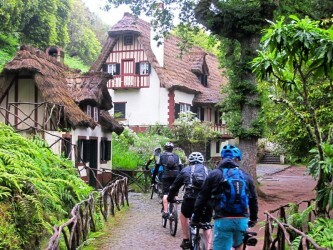 We cross the “Levada do Rei” and head through the famous laurel forest to the highest point of our tour. We stop at various viewpoints and enjoy the fabulous views of the mountains and neighbouring villages. 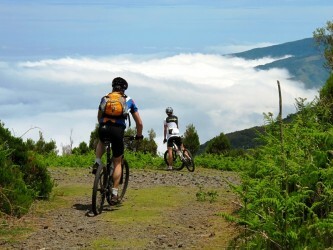 Our tour begins at Bica da Cana (1557 m) where we cycle along the plateau of Paul da Serra. Spectacular views, barren landscapes and the beautiful moorland await us. 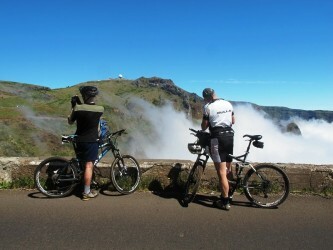 This tour offers many beautiful views, from the north coast to the highest mountain of Madeira, the Pico Ruivo. 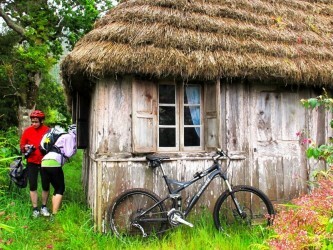 In Santana we visit the typical Santana houses, the “Casas de Colmo”. We cycle along the cliffs and down one of the oldest paths, cobbled with basaltic stones, until we reach the sea. The total altitude of 3207m makes this tour a true challenge. The experience of an impressive landscape justifies this feat of strength.